Sometimes I bake recipes with intriguing names, other times -- like this -- I select a recipe because of the paper it's written on. 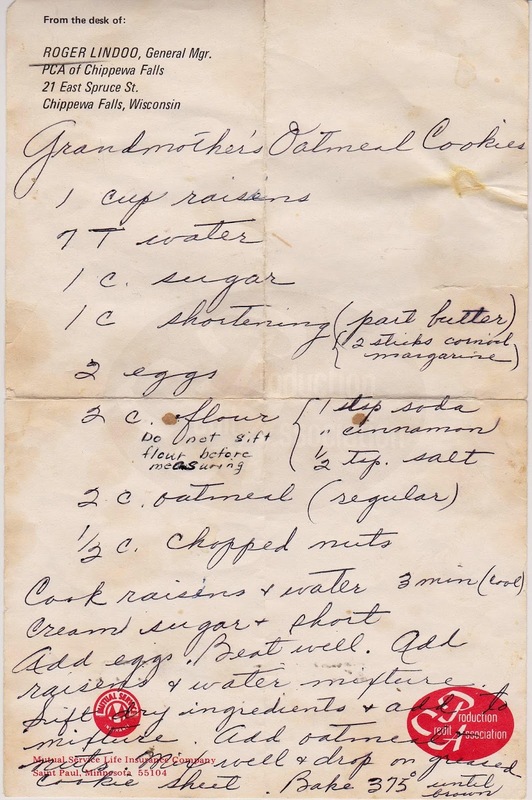 Grandmother's Oatmeal Cookies is handwritten on a sheet of office stationery of one Roger Lindoo, general manager of PCA of Chippewa Falls, Wisconsin. I'm surmising that his wife, or other relative, wrote this recipe. (As I never fail to marvel at the interweb, I learned that Roger, who was born in 1914 died just last year at age 101, was active in the community and a great outdoors man. Based on his time of employment, I'd date this recipe from the 1950s. Now, about this recipe. 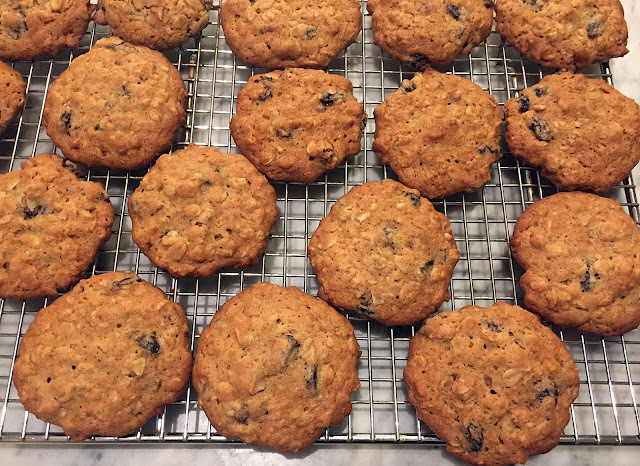 Not being an oatmeal cookie fan, I couldn't judge -- however, my work colleagues (and the workmen renovating my house) raved about them. And who could argue that Grandmother's cookies aren't delicious? They are very easy to mix and bake, and call for cooking the raisins first. A good thing, especially if your DH failed to close the bag of raisins, leaving hard little nuggets in place of plump dried fruit. 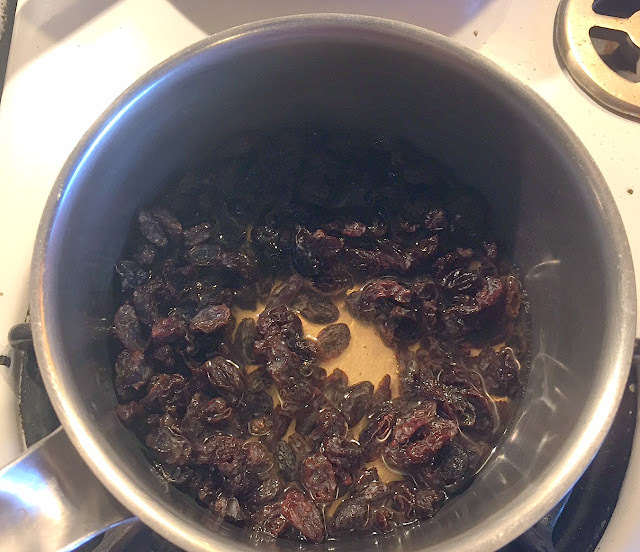 The raisins cooking below in water. 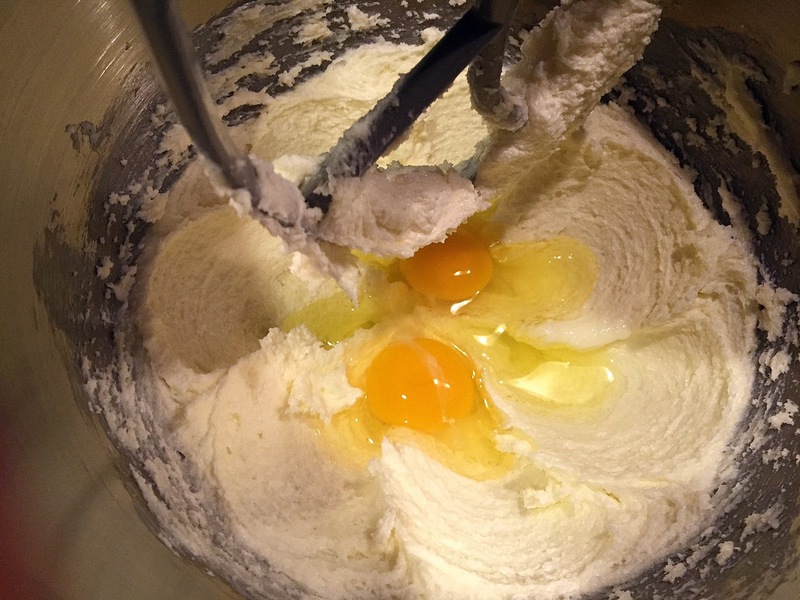 The first mixture, of butter, sugar and eggs. The cooked raisins are added, along with the cooking water. 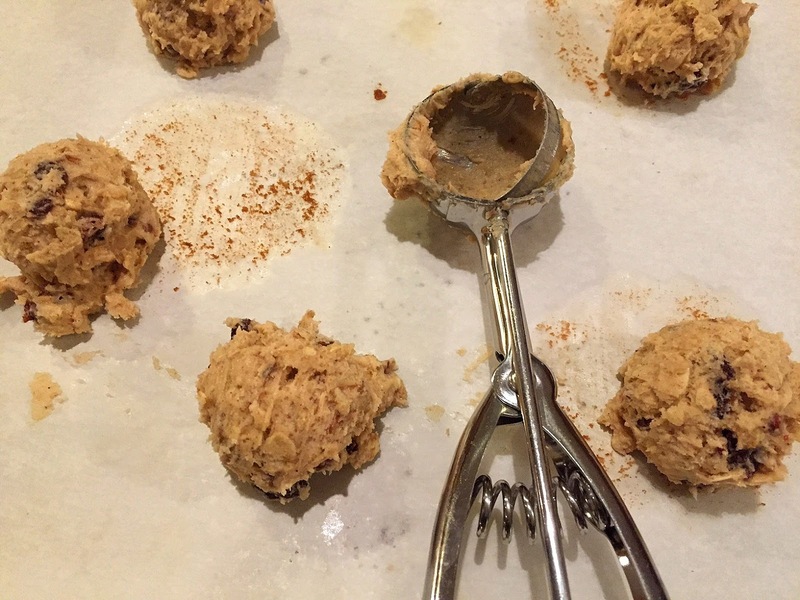 After the dry ingredients are added, fold in the nuts and oatmeal. 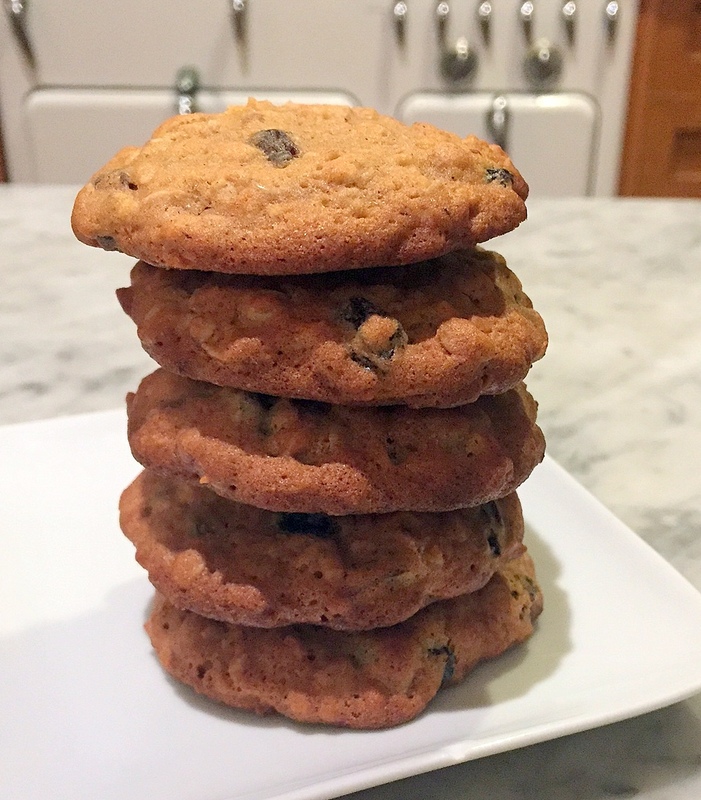 The dough is a bit moist, and I found it easier and faster to use a small ice cream scoop to portion out the cookies. 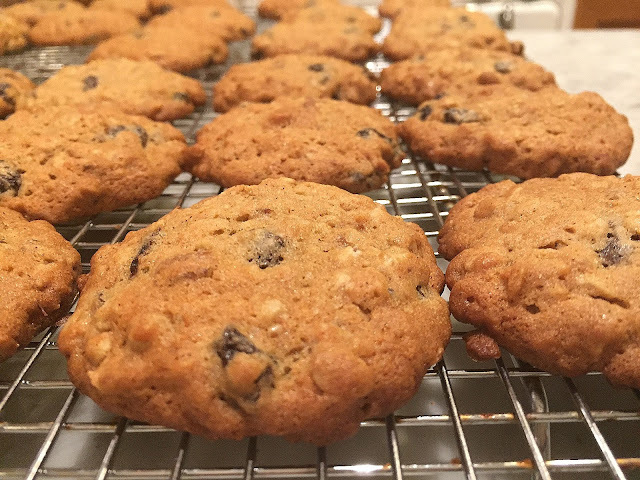 I baked on parchment sheets, which can be reused, as evidenced below. After the first batch, and because the cookies didn't spread, I pressed down the dough balls before baking as they didn't flatten out as expected. The original recipe, below, and below that, I've written out the recipe as I made it. Cook raisins and water in a saucepan for three minutes. Set aside to cool. 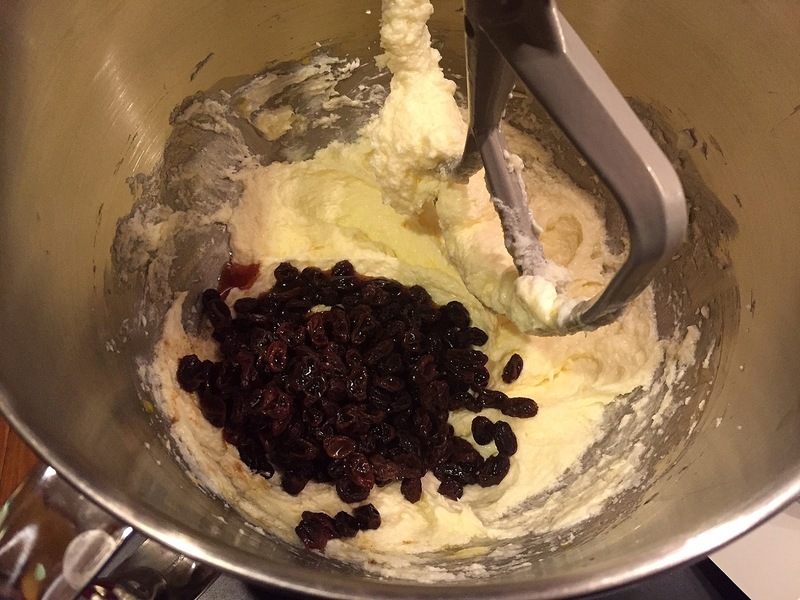 Add raisins and water, and mix. Sift dry ingredients and add, and combine. Drop by tablespoons (or use a small ice cream scoop) onto greased or parchment lined cookie sheet. Press down with wet hands or the bottom of a glass. 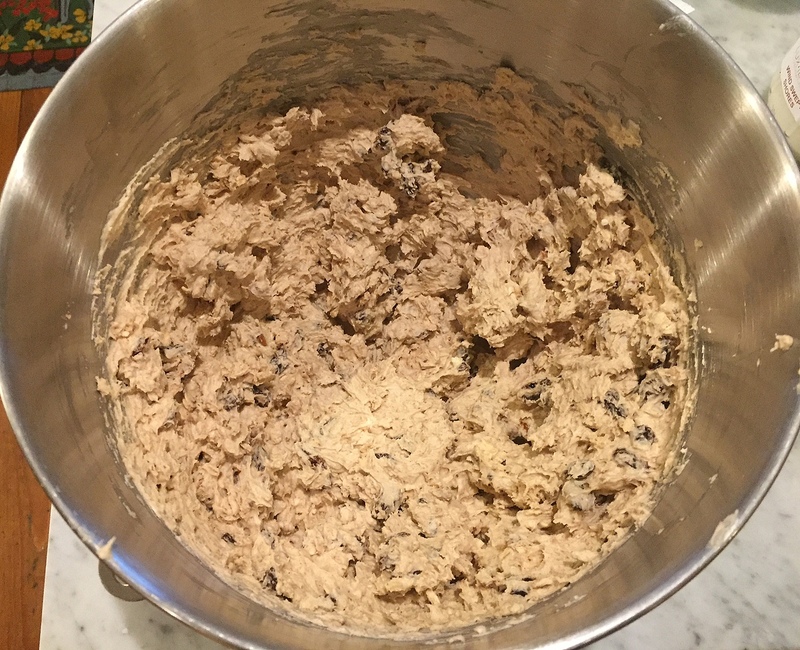 Bake until brown, about 10 to 12 minutes. Do you mean old fashioned oats when you say regular oatmeal? Yes, not the quick oats, but the ones labeled "old fashioned" though I'm sure the quick ones would work as well. I'll be they're delicious, Lizann. thanks for writing!